3. The Li-ion battery can be removable according to customers' requirement. 1. Specially designed for the department of ENT. 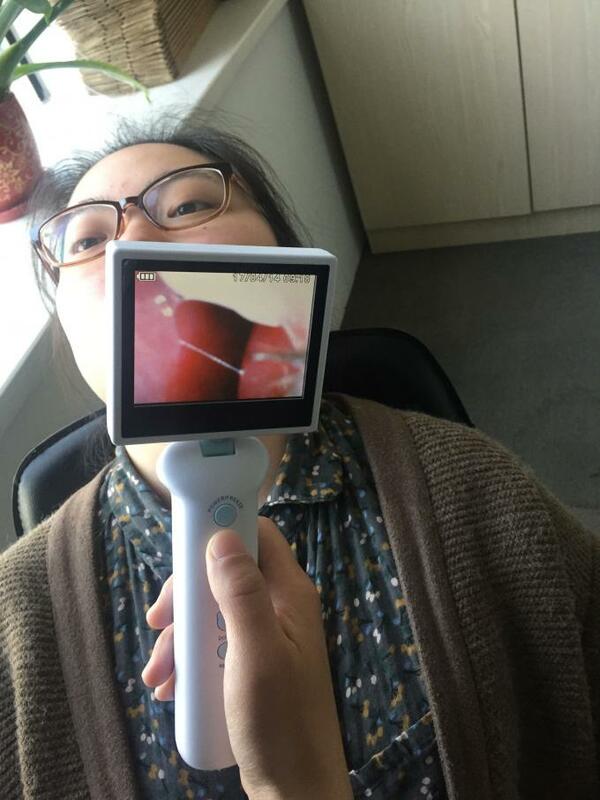 The digital otoscope usb camera can be used to examine eardrum, nasal cavity and throat with different camera probe. 2. Light weight and portable, suitable for outpatient department, emergency room and medical ward. 3. 3.5 inch high definition LCD screen, watching and taking photos at the same time. 4. High resolution image. 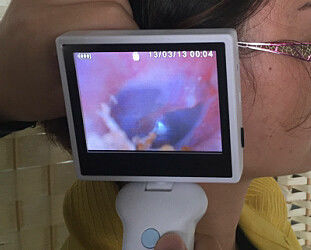 The SD card can store multiple freeze images and videos, and can be connect to computer to print patient reports. 5. 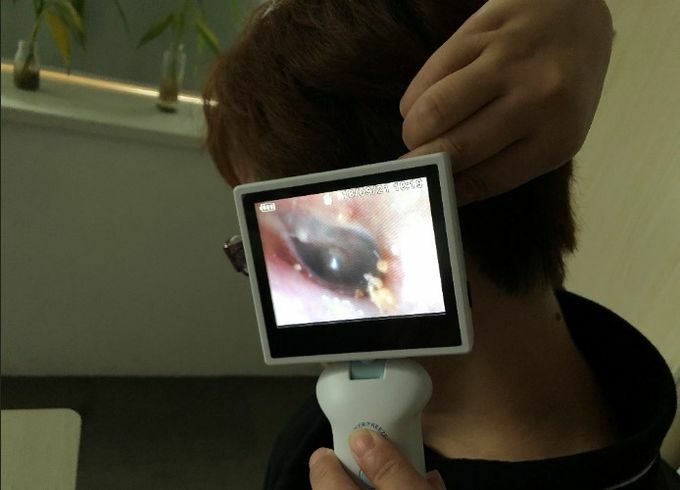 Avoid high cost of the traditional ENT examination equipment, such as light source, CCD, Monitor etc. 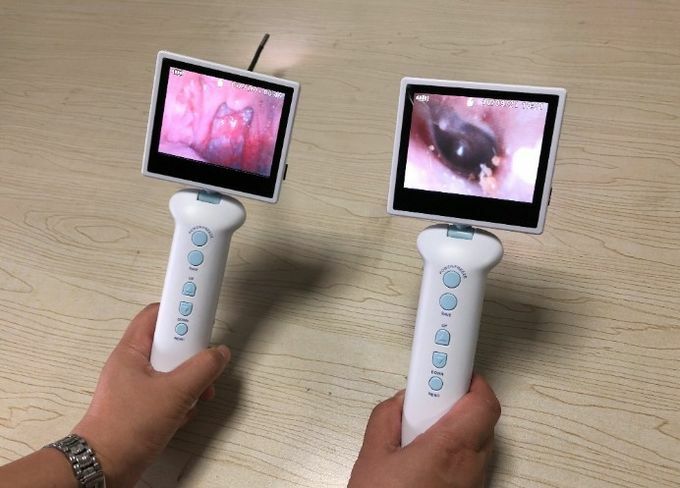 6.The USB video otoscope camera can be connected to large size monitor, synchronized to the big screen.